Fall is the perfect season to spend some quality time in your yard. Now that the unbearably hot days of summer have passed, you can actually get something done in your lawn without having to worry about sunburns or getting dehydrated. Thank goodness! Chances are you raised your blade height on your mower this summer in order to prevent overcutting your grass, and allowing it to perish while it faced the heat. When mowing in Fall make sure you move your blade back down to around 2 inches tall. Unless your lawn is getting an abundance of rain water throughout autumn, you should continue to water it. Early morning remains to be the best time to complete this process. 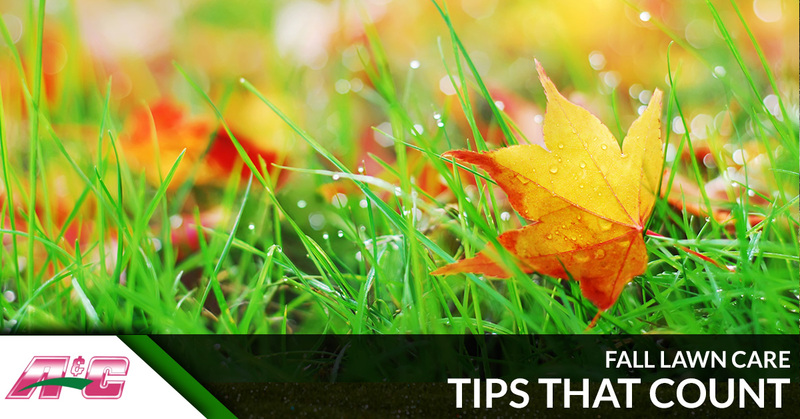 Fall is known as the best time of year to fertilize your lawn. Try feeding your lawn in early September and then again in late October or early November for the healthiest grass possible next spring. Raking one time a year isn’t going to cut it. Fallen leaves left on your lawn will only suffocate the existing grass, causing dead spots and a less than desirable yard once the warm weather returns. At A&C Sprinkler, we may just be a sprinkler company but we know how to best take care of your lawn as well. If you live in the Toms River area and would like to know more about how a sprinkler system could help your lawn, or simply have a question about lawn care, feel free to give us a call. We would be happy to help!